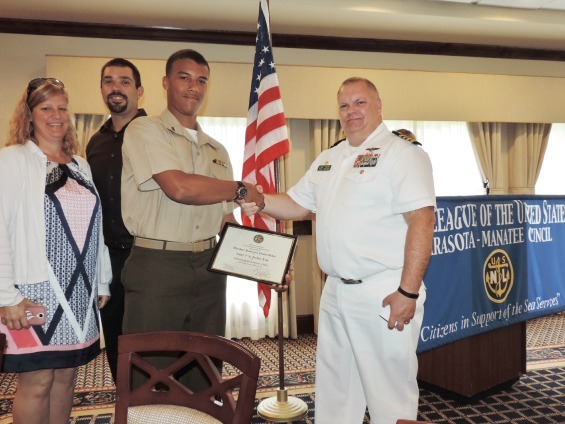 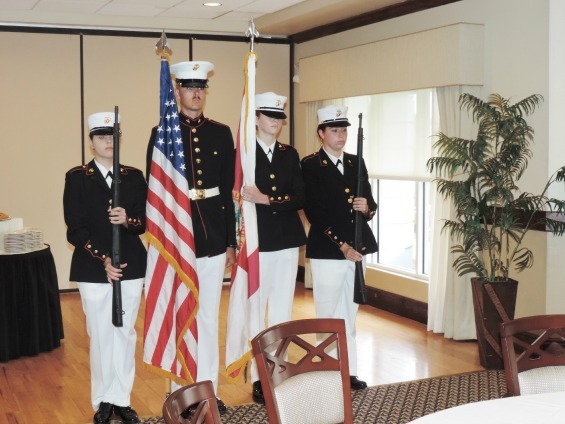 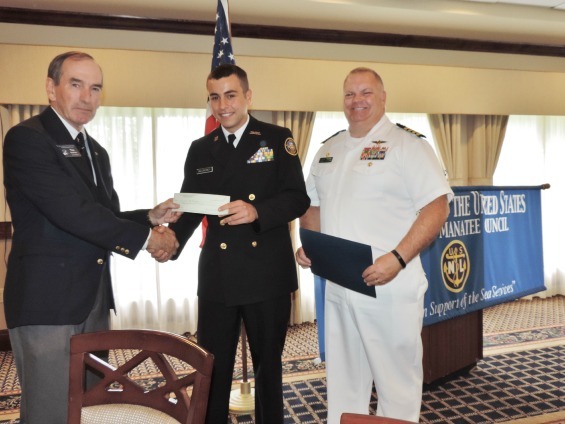 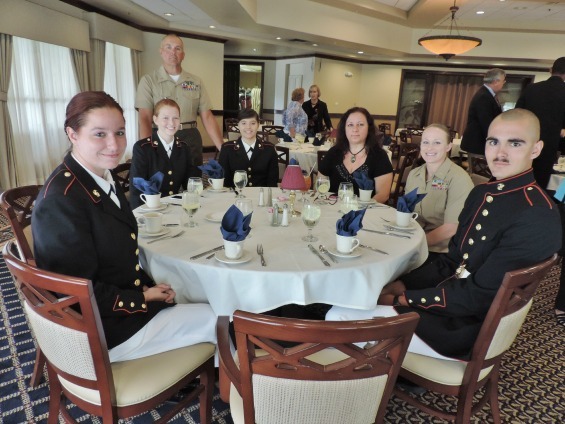 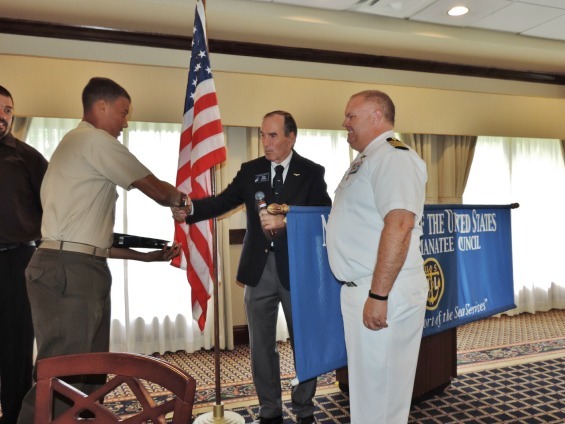 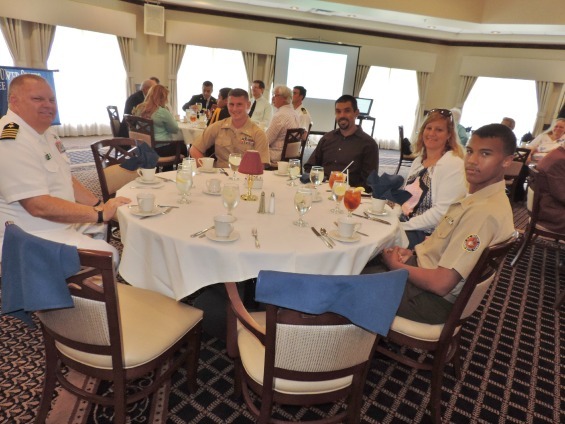 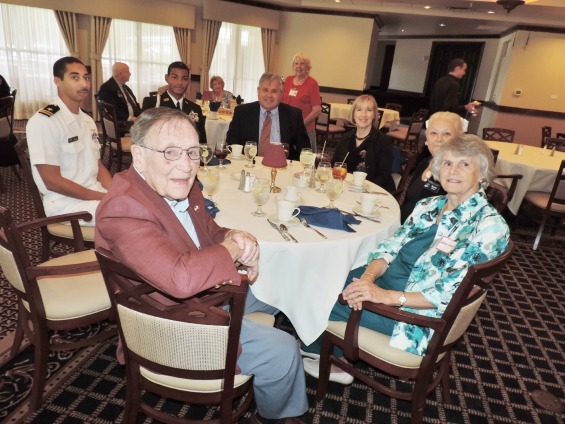 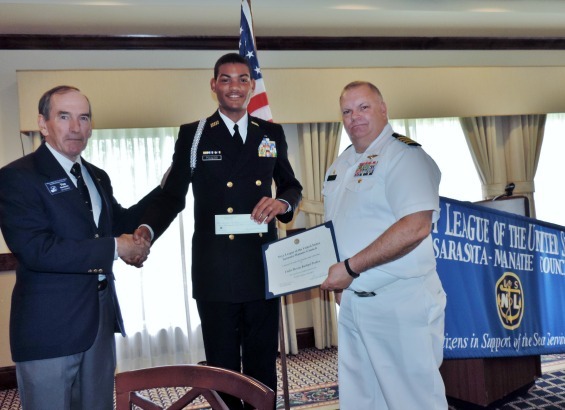 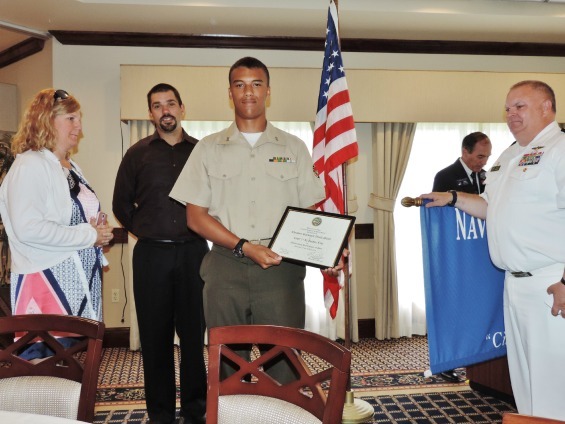 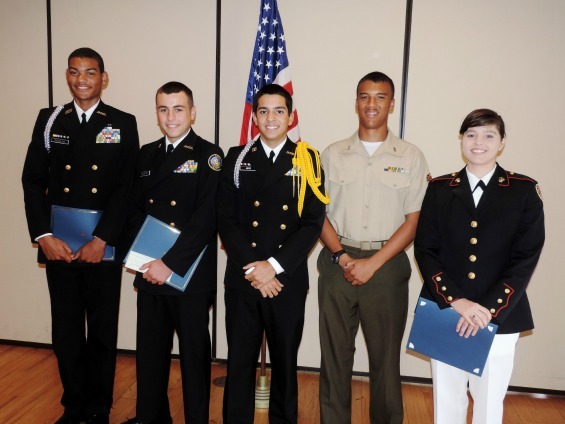 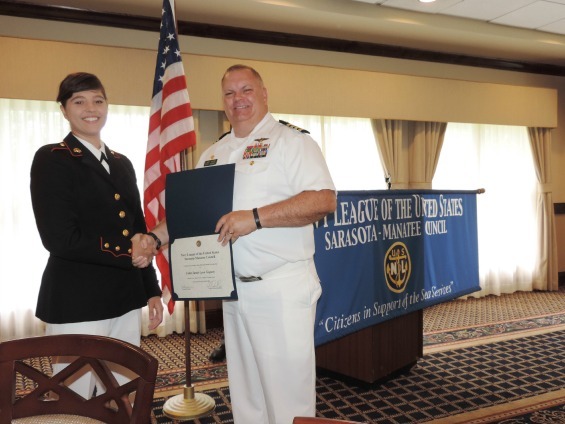 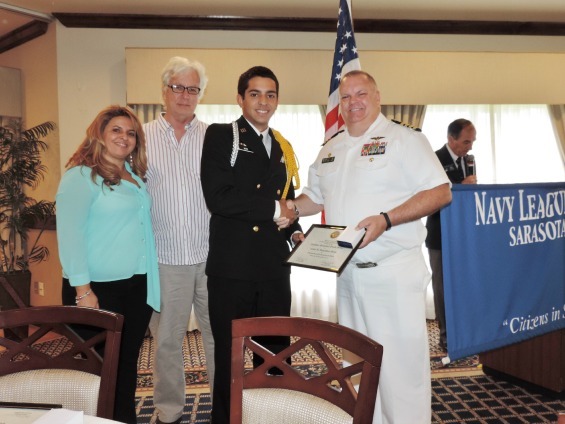 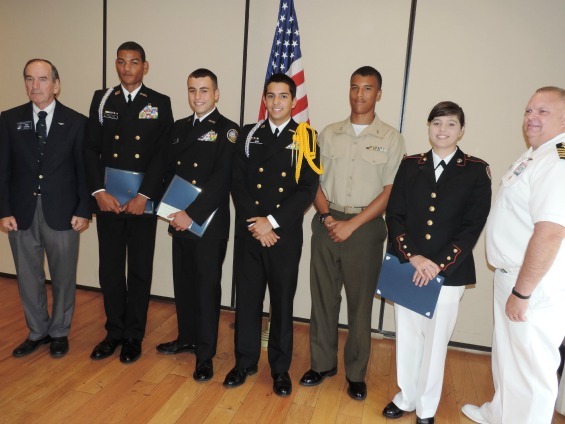 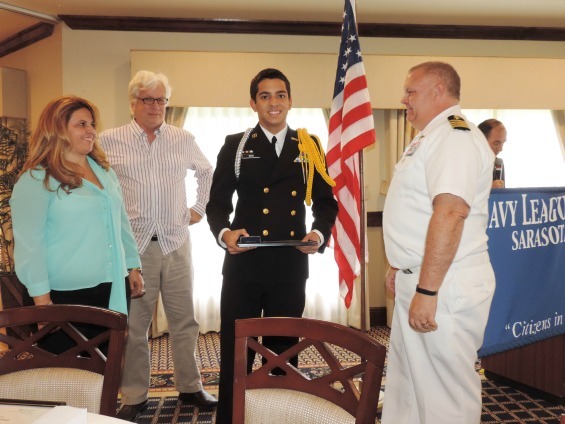 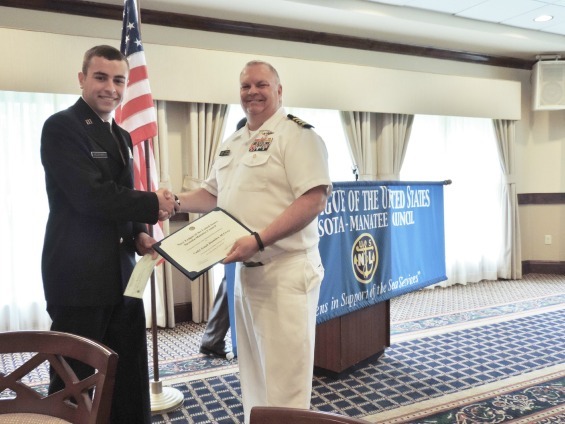 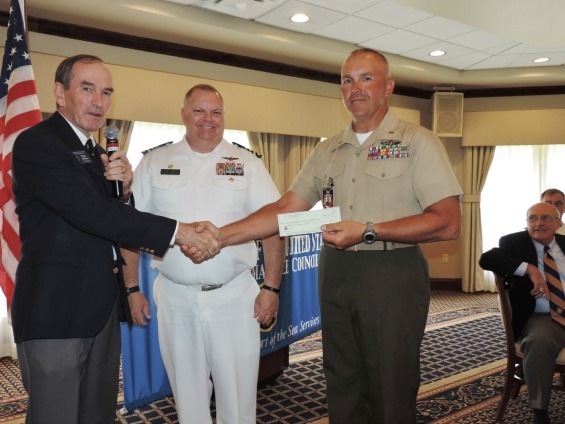 At our April 16 luncheon held at the Plantation Golf and Country Club, we honored the this year’s top cadets from Venice High School’s MCJROTC and from North Port High School’s NJROTC. 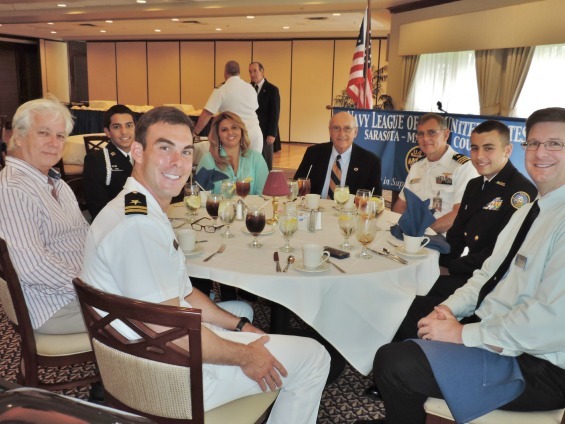 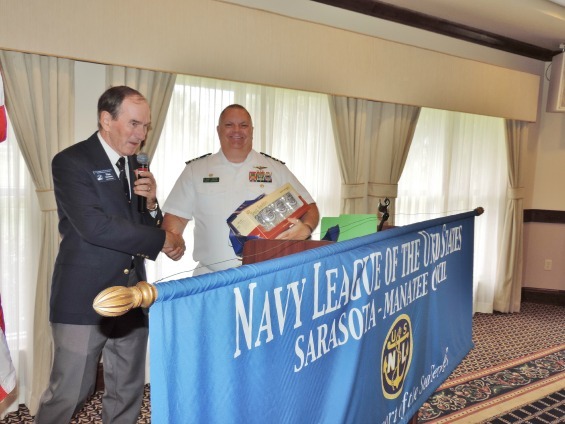 Guest speaker for the event was Captain Kevin Kenney, Commanding Officer of the Navy ROTC unit at the University of South Florida. 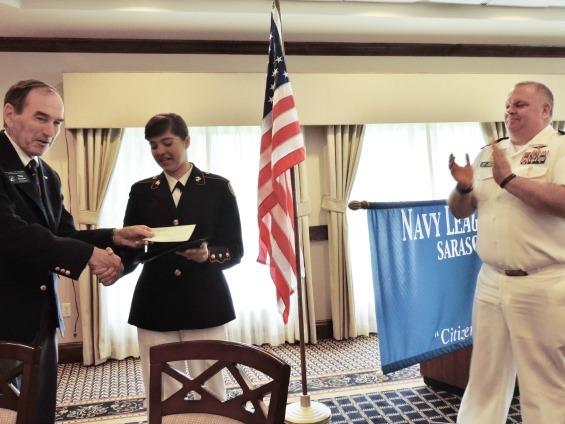 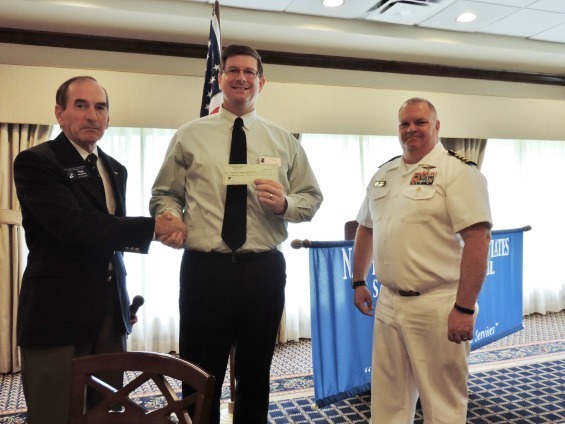 In addition to two Theodore Roosevelt medals, a total of $5000 was awarded: Three one-thousand dollar scholarships to cadets, and $1000 each to support the JROTC programs at Venice and North Port High Schools.